Sweep the scene in flawless style in this chic Alexander McQueen® Oversized Runner Sneakers. 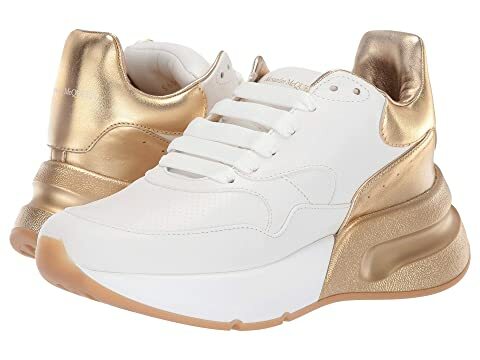 Metallic and smooth leather sneakers. Signature brand logo at the tongue and heel. Chunky and durable rubber outsole. We can't currently find any similar items for the Oversized Runner Sneaker by Alexander McQueen. Sorry!